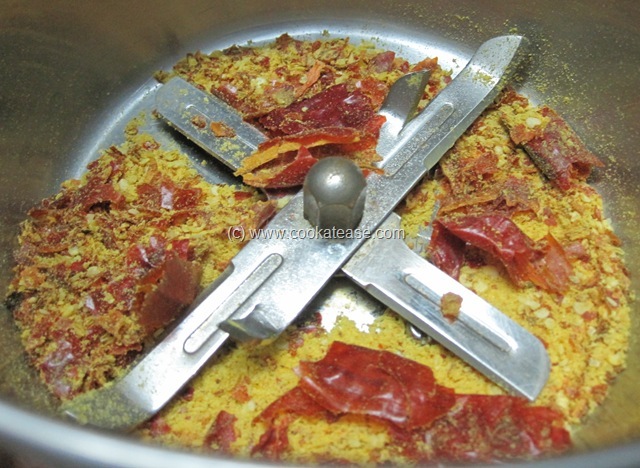 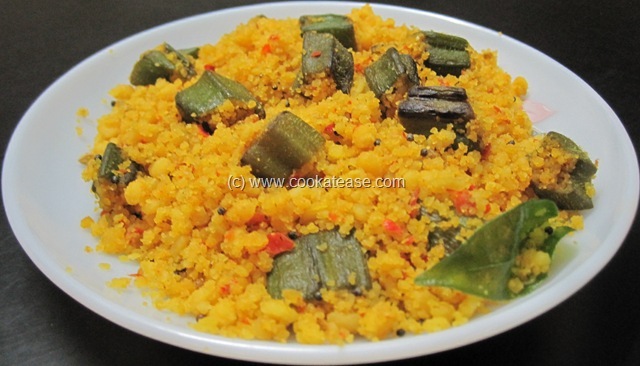 Usili is a traditional dish of Tamil Nadu prepared with lentils and vegetable. 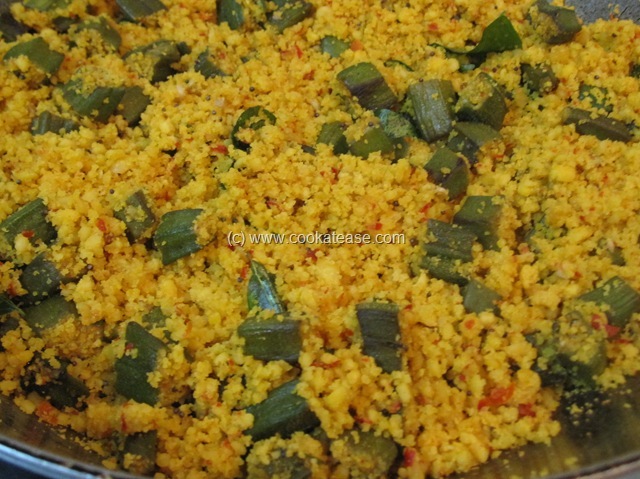 Usili can be prepared with beans, cluster beans, cabbage, okra and so on. My elder sister does it nicely and I adopted this yummy recipe from her. 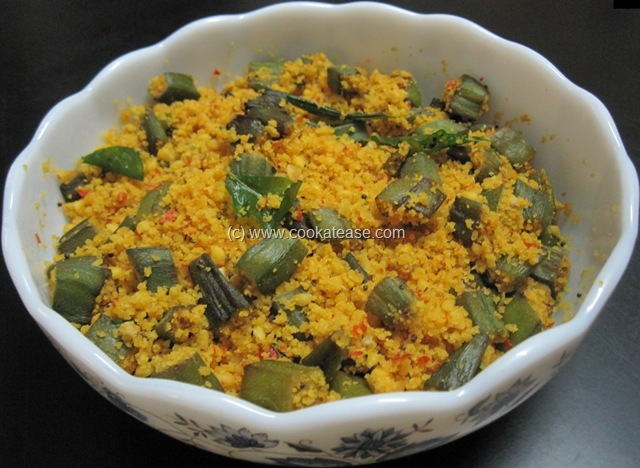 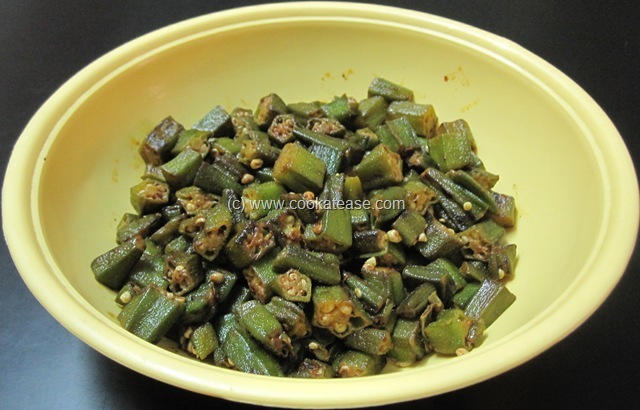 Here is Vendakkai (Okra/Bhindi) Usili using okra and Bengal gram, toor dal as major ingredients. Okra is known as Vendakkai in Tamil and as Bhindi in Hindi. 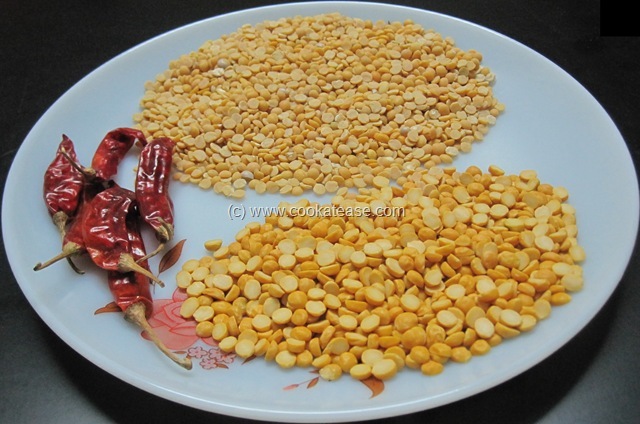 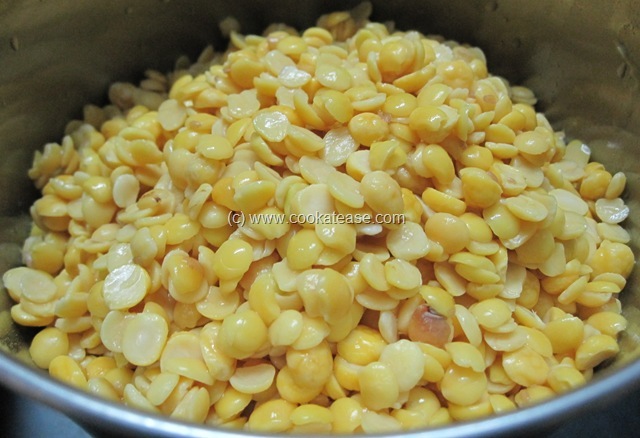 Dal is known as Paruppu in Tamil. Soak Bengal gram and toor dal for one hour; drain and grind it with turmeric powder, red chilli, asafoetida, salt to a coarse paste. 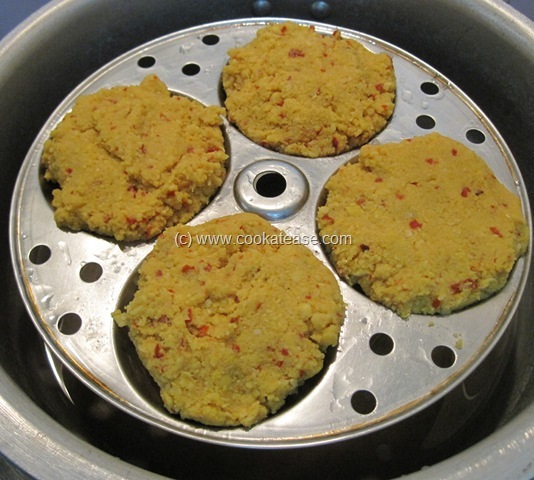 Stream cook it like we do for idlis; cool it and crumble it nicely. 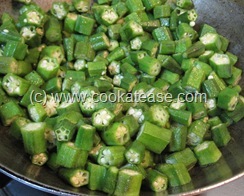 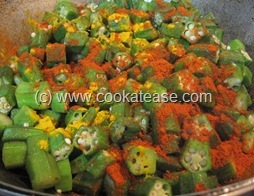 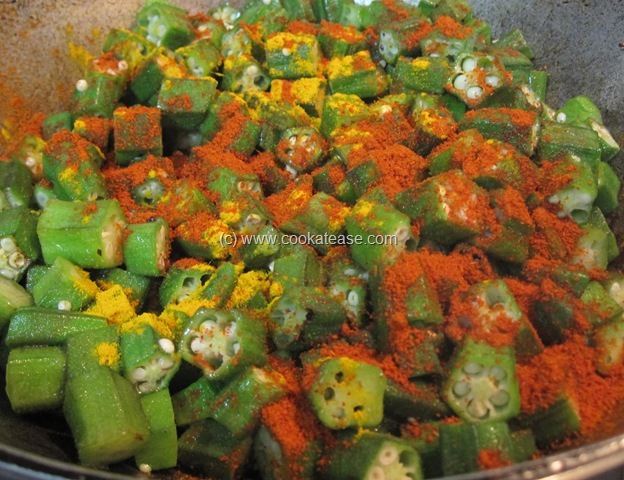 Wash and cut okras into small pieces; heat a pan with 1 table spoon of oil; add okra pieces, salt, red chilli powder. 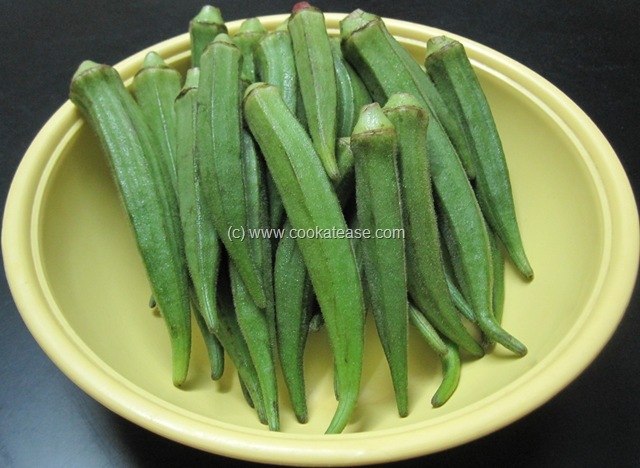 Fry till okra is crisp and cooked (I cooked it in microwave oven in full power for 2 minutes and then fried it to reduce oil consumption). 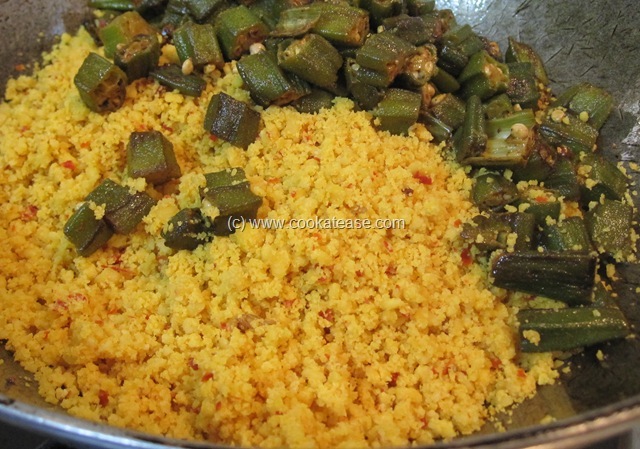 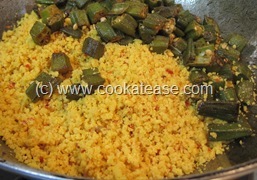 Now do the seasoning in a pan, add crumbled steam cooked dals, okra and fry in low flame for 5 minutes or till both mix together. 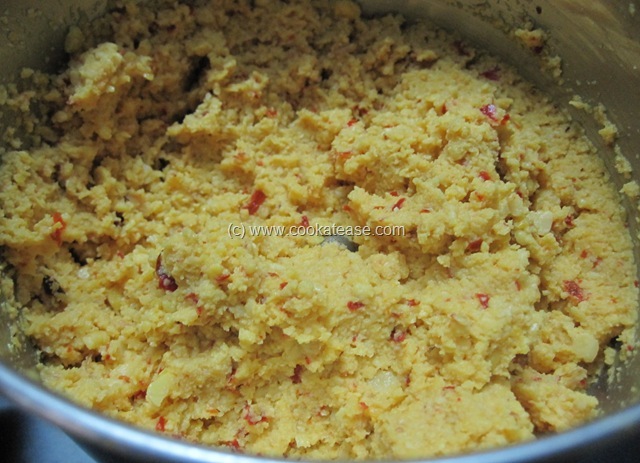 Hai this curry is new to never tried this.Nice post. 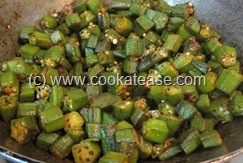 Using okra is new for me.. parupu usli looks tempting !! 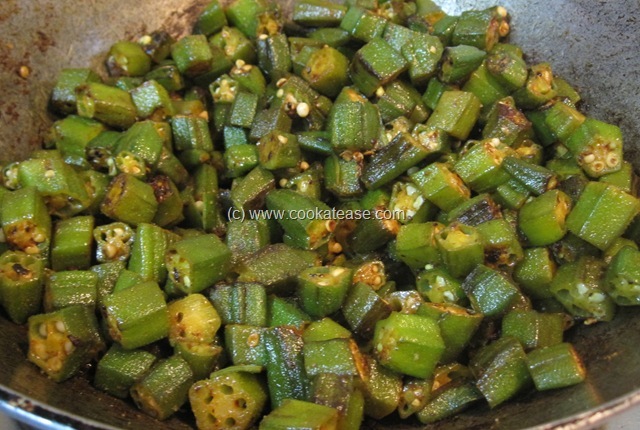 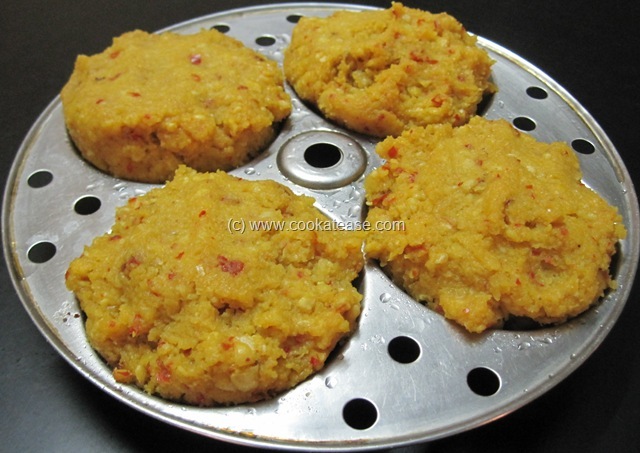 Thats a delicious paruppu usili, never tried with okras…looks yumm!